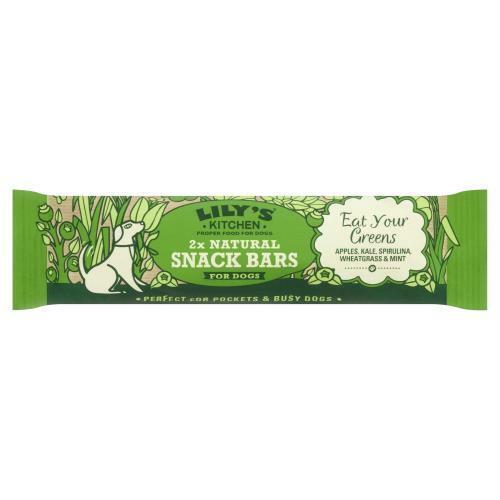 Lily's Kitchen Eat Your Greens Snack Bars Adult Dog Treats are deliciously crunchy snack bars that are packed with protein and bursting with botanicals. Designed to snap & snack they keep hounds happy and pockets crumb-free so treating your dog is a walk in the park. 100% natural which make this a perfect pocket treat for your busy dogs and are they hand-baked. As well as being suitable as a meal replacement they are loaded with the finest natural ingredients.